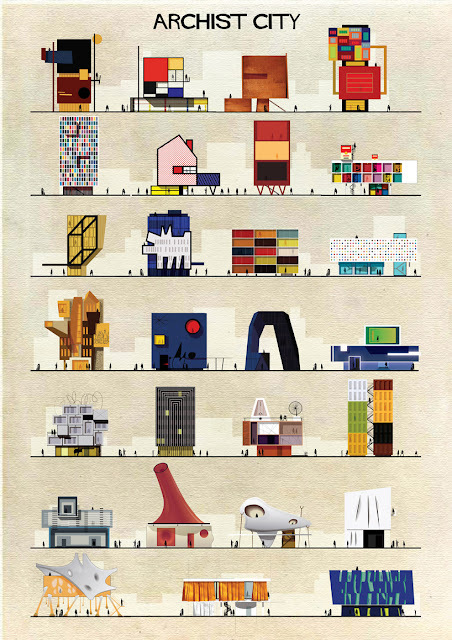 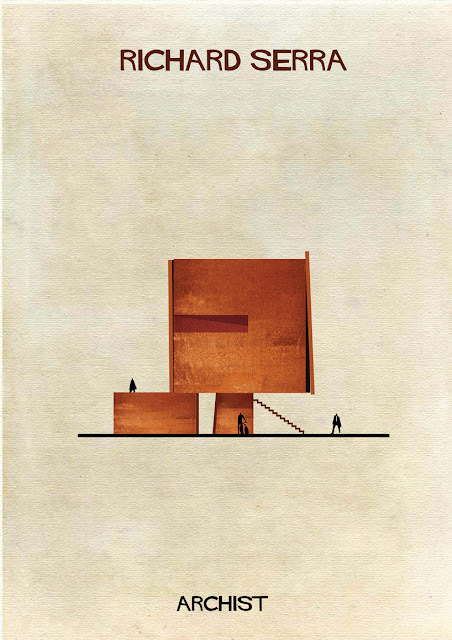 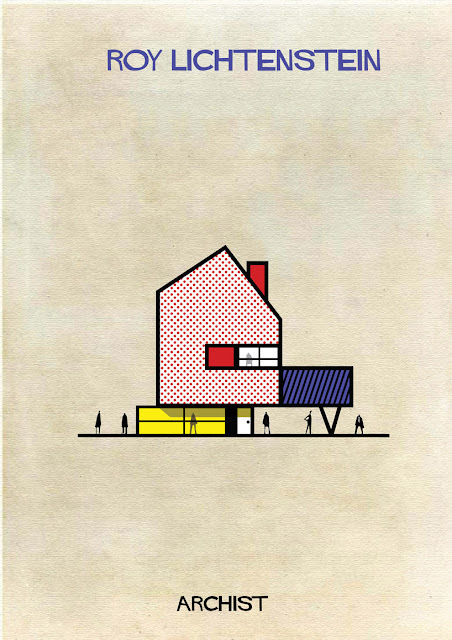 Barcelona-based illustrator Federico Babina has something of a preoccupation with architecture, creating series of illustrations on architectural alphabets, the architecture of cinema and more. 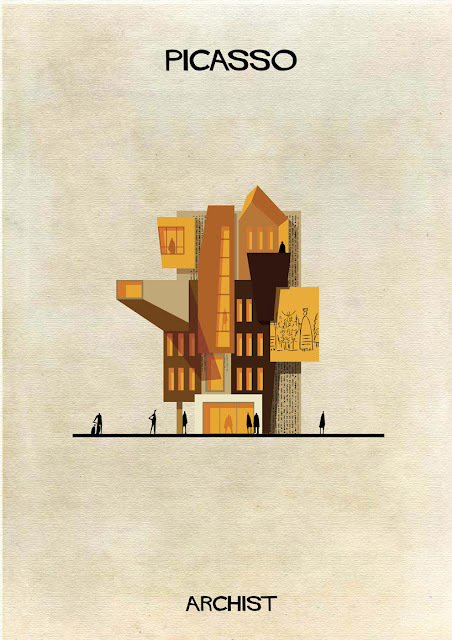 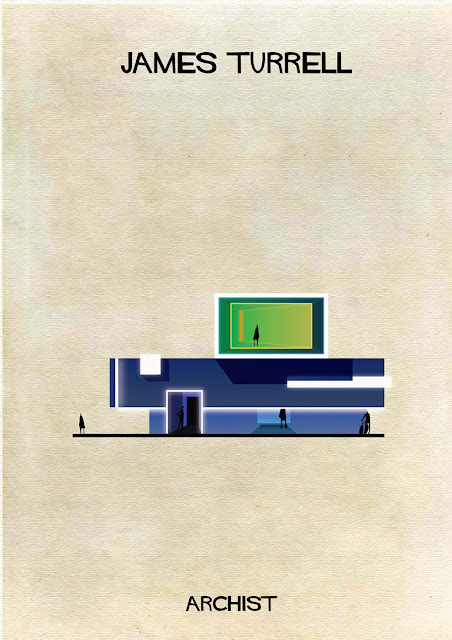 I recently stumbled upon this one, named Archists, which imagines a city of buildings designed by famous artists in their trademark styles. 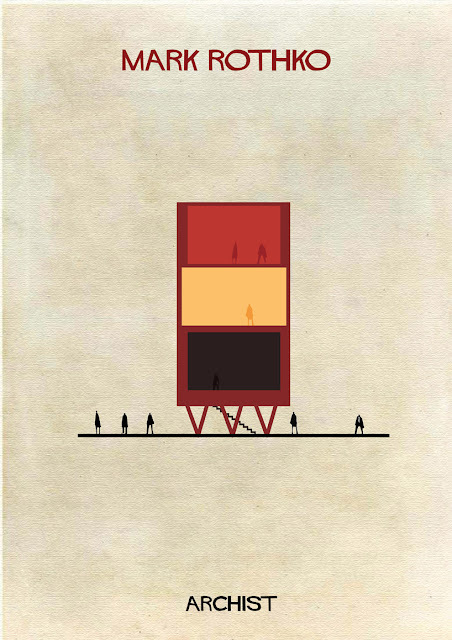 A simple concept which is delivered in Babina's trademark charming style, click through to see some of my favourites.